Why wasn’t there even one book, among all of the volumes on her shelves, which singled out motherhood as the radiant experience it must be? Had her grandfather, Shaykh Masoud, whose library her mother had inherited, not been interested in motherhood? Or were books in general reticent on this subject? She didn’t know the answer to that one, since she had never seen another library in her life. The third sister, Khawla, has waited since childhood to marry her cousin, and still waits for him, though he has now emigrated to Canada, and she waits for him to return. All three women have their individual ideals when it comes to love; Celestial Bodies explores the different ways in which reality measures up (or fails to measure up) to those ideals. Alongside the three sisters’ tales are episodes from the lives of other characters, which reflect different experiences and common themes across the generations. Mostly the chapters are presented out of chronological order, which turns Alharthi’s novel into a forest of stories. 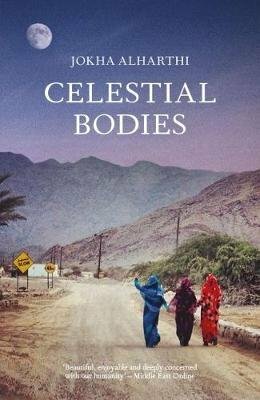 Celestial Bodies (2010) by Jokha Alharthi, tr. Marilyn Booth (2018), Sandstone Press, 244 pages, paperback. Read my other posts on the 2019 Man Booker International Prize here. I’ve just got my copy of this – thanks for the warning that it’s not chronological, I’ll need to pay attention!